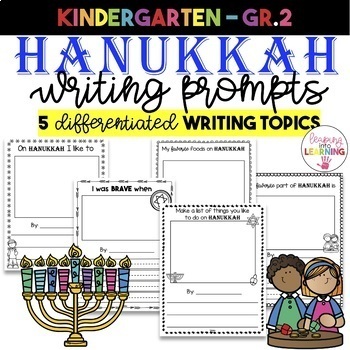 Writing Prompts for Hanukkah. Multiple pages of writing prompts for students. Different sized lined papers are perfect for differentiation and coloring boxes perfect for allowing students to further express their ideas & thoughts. Your item will be delivered within 24 hours of payment processing.